Does the word “negotiate” give you shivers? Big purchases like cars and houses are often the only time negotiating is thought of. What most people don’t know is that you actually negotiate on a daily basis, and more often than you think. Parenting, deciding what to eat, or even sharing a sidewalk all requires some form of negotiation (verbally or non-verbally). Once you identify that you’re using this skill, you may take the time to improve and even enjoy it. Here are some tips for negotiating with a home buyer’s prospective in mind. Build Rapport – This can significantly reduce possible tension points. Changing the language from “you/me” to “we” keeps the sellers more open-minded. Planting a good seed of trust early and maintaining it during discussions makes the big moments at the end of negotiations easier to navigate. I can count many deals where the sellers said, “we wanted to sell it to you all along!” and where we received unexpected favourable outcomes. Owner occupied – Price and longer closing dates are important. When showings are done for a property, it is often a massive win for parents and dog owners who find showings are very stressful. Investor selling a rented space – Price is the only thing that matters. It is often the most difficult to negotiate price with a rented space. Vacant space – Quick closing is key. Estate or Power of Sale – They want clean offers, no representations or warranties by the seller. Know What You’re Buying – So you can act with confidence. Take the time to evaluate what you think the property is worth, and what money you plan to spend on maintenance or renovations. Make a Deposit Draft – Nothing qualifies you better as a buyer than showing you have the money. Do a Home Inspection, Sometimes Before You Offer – A home inspection provides information and sometimes surprises for the seller. If you find an issue, it is easier to quantify it before you finalize your values. Negotiating on a conditional agreement is never easily done as the seller feels the buyer is taking advantage of their condition. For more information to help understand home inspections, visit this link. Focus On What Is Important To You – Give concessions on things that don’t matter to you and are valuable to the seller. The best example of this is if a buyer, who is renting a space while finding a home to purchase, offers the seller a flexible closing date. That is very valuable to a seller who hasn’t purchased a property yet, as they have less anxiety over finding the house within a specific deadline. They also could offer the flexible closing date forward to the next seller, and possibly save money. Put Emotions Aside – Sometimes the seller is emotional and irrational. Don’t get sucked in! Review your notes on values and preferred outcomes, and take a deep breath. Are you looking at an acceptable deal on paper, but don’t like the road you took with the seller to get there? Focus on the deal as it leaves the property in your hands, as the buyer. It’s preferable to have a good relationship with the seller, but that’s not paramount. Think about what’s the best outcome for you. Looking For a Big Discount? Be Patient – Use time to your advantage, give the seller time to sleep on an offer with a long irrevocable period. The risk of another buyer showing up with an offer is possible. If a second buyer doesn’t show up, it makes your argument for a lower price that much stronger. If a seller doesn’t agree to a lower price, don’t close the door entirely, revisit the offer in a week or two. The seller is managing a lot of emotions and possible doubt in their decision to sell their home. If a buyer is presenting an “option” for the seller to sell at a lower value, that option may seem more like the right decision as it continues to present as the only option. Don’t Use Ultimatums – It creates the idea of winning and losing, and submission, which can increase or create unnecessary conflict. Presenting an offer can be done with a softer tone. Try, “This is my best offer I can make, I hope you will accept” vs. “Take it or leave it!”. Don’t Know What To Say? Zip it! – Once you have made the offer or asked for the deal, bask in the silence. 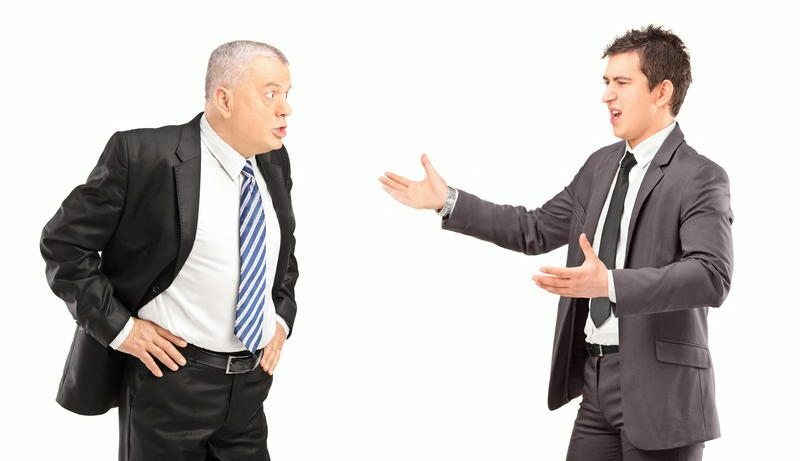 It’s uncomfortable for the seller to find a way to politely disagree/answer, so often they will say “YES” as we’re wired to avoid uncomfortable moments. On more complicated deals, the silence might induce someone to fill the void with information/details they didn’t need to share. If you’re the one on the spot, keep a “I need to think about this” line handy for a quick escape. Be Creative! – Focusing just on price can only get you so far. There are many ways to create and exchange value outside of dollars. You’re Not Buying Furniture! – Talk about chattels and furniture once you have a deal. These are secondary items and only matter if you are actually buying the house. We’ve had deals fall through over tiny things that shouldn’t matter, like a rumba vacuum (seriously). Identify Points of Agreement – “Great, so we agree on the closing date, deposit and chattels included, we just need to find a common ground on the purchase price”. This creates a partial agreement and goodwill on both sides towards an agreement. Keep in mind that no two deals are the same. These are some basic ground rules that improve the chances of an agreement between a buyer and seller. Start identifying all the places you negotiate in your day to day activities, and try to grow that skill. Have a question? Call or text us at 905.222.1212 or send us an email at team@oulahen.com.